I've been under the weather for a couple months. I'm feeling much better. I figured it was about time to get busy. I dunked some heads in vinegar Saturday. After 3 days this is what the brew looked like. The one with the handle is a project I owe Sarge for a beautiful knife he made for me. I scrubbed them some today. Sprayed them off and posed them for a glam shot. 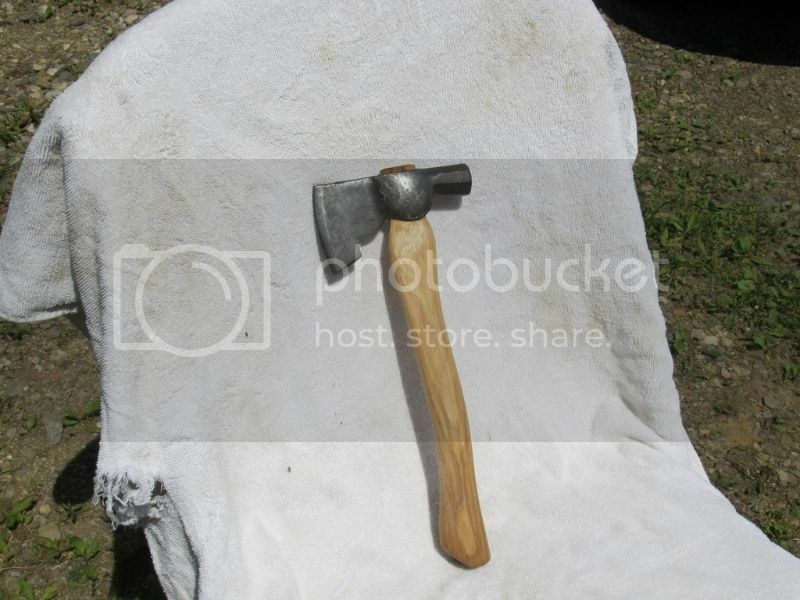 The first is the head MNeedham sent me for having an ugly axe. I can see this one being a fine user. The next two were to be a gift project for MNeedham's buddy but both are in pretty bad shape so these will be fixed for wall hangers/decoration. I found this next one as a replacement gift for his friend. I believe this one will clean up really nice and make a much more suitable expression of gratitude for both me to Mike and to Mike's buddy. This shot will give a better idea of what the finish should look like. Really cool. The little hammer is for Sarge. It's a nice old Stanley and I think it will make a really cool mod. I appreciate his understanding as I have convalesced. Look forward to sharing the progress. Bout time buddy! Those look like good projects. I would love to see your detailed process of the creek mod for your exact product! Awesome. No worries here. Just glad you are feeling better and back in action. I would love to see your detailed process of the creek mod for your exact product! I too, will be looking forward to seeing your work as you progress along! 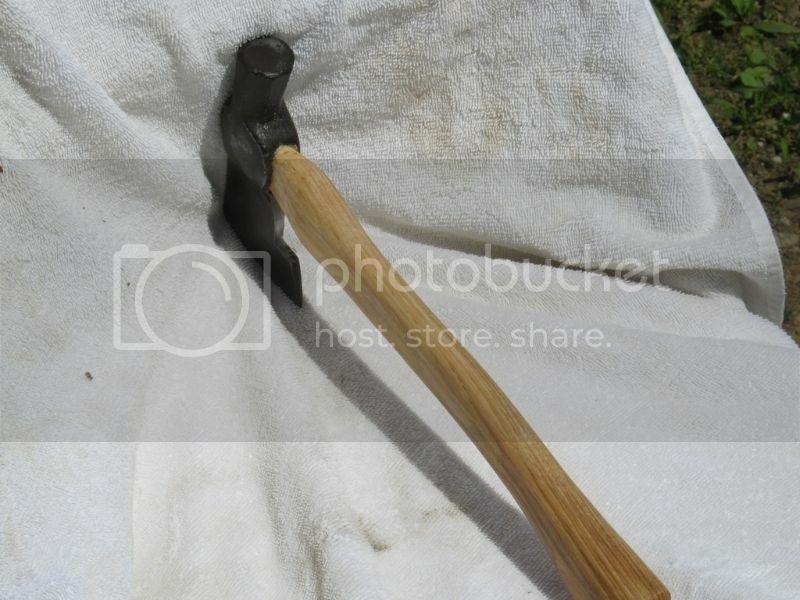 I have 2-3 old axe heads that need the same type of work. They were given to me by some old friends who decided to move into assisted living & no longer have any use for them. I will have to do the same sort of thing you are doing, but I have not ever tried to do it before, so seeing your work should help me a lot. So, Thanks for sharing your projects! Glad you're feeling better. Looking forward to what you do with all those. Certainly looking good so far. I didn't even know you were off your prime or left handed. Glad you are back in the swing UtC. Thank you for sharing your projects with us. Looks like your are a lefty. Looks like you have a few fun projects to work with. 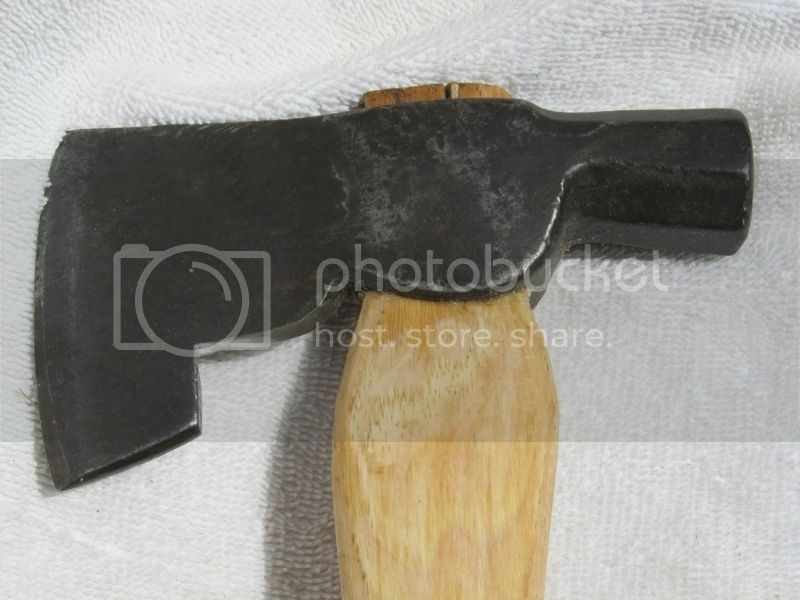 I am interested in seeing the little hammer poll hatchet take shape as well. Got them all cleaned up. Going to handle the 2 beat broads for display. The two singles will take a back seat for now. The big broad from Mike Will get a proper hang. Sarge's little one isn't pictured. I'm drawing lines on it now.